You may not consider your 55th birthday as a milestone, however, there may be more reason to celebrate than you think. At the age of 55, several options for tax savings become available for those considering selling and repurchasing real estate in California. Traditionally your property tax base is calculated by the assessed value of the home itself. Meaning, when you purchase a new home, your property’s purchase price in part dictates your property taxes. In California, due to Proposition 60 and Proposition 90, you may transfer your property tax base from the sale of your original home to a new home and reap the tax savings. Some requirements apply and this benefit can only be used once, so leveraging the opportunity should be considered carefully. We recommend that before proceeding, you discuss your plans with your financial planner and tax professional. *While this applies to married couples who own the original property together; this does not apply to registered domestic partners who may also own the original property together. Once either Proposition 60 or 90 has been filed and received, neither you nor your spouse can file for either benefit again. However, if the same individual became severely or permanently disabled and needed to move as a result of this disability that person could utilize this exemption a second time as part of Proposition 110 but not vice versa. The purpose of Proposition 110 is to provide tax exemptions relief for severely or permanently disabled persons by offering the tax base transfer as in Proposition 60/90. **If you and your spouse own two eligible properties that you wish to sell, they cannot be combined in order to qualify for a Proposition 60 base value greater than the highest value of the two original properties sold. California also gives you the opportunity to pass on tax saving benefits to your children or grandchildren under Propositions 58 and 193. As with Propositions 60 and 90, the original property’s tax base is transferred but this time to an individual rather than a property itself. For instance, if you decide to gift your primary residence to your child, Proposition 58 allows the transfer to be excluded from reassessment and therefore maintain its current tax base. * Additionally, spouses of eligible children eligible until divorce or, if terminated by death, until the remarriage of the surviving spouse, stepparent, or parent-in-law. **All parents of the qualifying grandchildren must be deceased. While these tax savings sound great in black-and-white, there are limitations and fine print that may not be as beneficial to your specific circumstances. Everyone’s journey and financial picture is different. 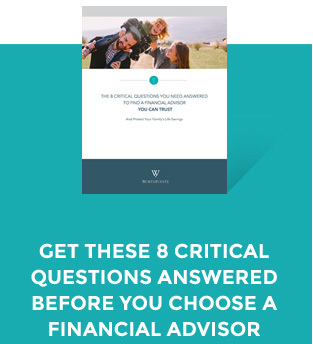 To learn more accurately whether you or your family would sufficiently reap the benefits of these Propositions, we encourage you to sit down with a WorthPointe CERTIFIED FINANCIAL PLANNER™ professional to review how the details would fit into your future.